The Department of Spanish and Portuguese at The Ohio State University expresses its sorrow upon the death on August 7, 2017, of Vicente Cantarino Calabuig, Professor Emeritus of Iberian Studies. Professor Cantarino was a man of immense erudition whose interests in Medieval Spain led him to study medieval philosophy, theology, and Arabic thought; and to travel extensively in Europe and the Middle East. Having grown up in Valencia during the Spanish Civil War, he graduated from the Instituto ‘Luis Vives,’ before moving to Rome where he graduated with honors from Pontifical Gregorian University in 1948 having obtained master’s degrees in both philosophy and theology. In 1952 Dr. Cantarino moved to Munich, Germany as a Lektor at the university and in 1957 he obtained his Doctorate of Philosophy from Ludwig Maximilian University of Munich. Prior to coming to Ohio State, Dr. Cantarino taught Arabic and Spanish at the University of North Carolina for a few years, before serving as a professor of Spanish and Near Eastern Studies at Indiana University (Bloomington); and later at The University of Texas in Austin, where he taught and inspired students for 17 years. In 1985 he moved to Columbus to continue his distinguished career at Ohio State until his retirement. 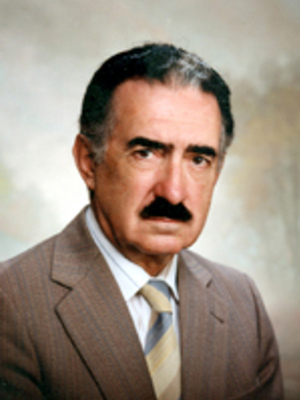 During his career, Dr. Cantarino published many books and articles related to Hispano-Arabic studies, linguistics, philosophy, and Spanish civilization and culture, including Civilización y cultura de España (first edition 1981) –a widely-used introduction to the richness of Spanish civilization and culture that was unique in the field for its multimedia supplemental coverage. He dedicated every Friday to update the open access visual material of his textbook’s webpage (civycultura.osu.edu) with the immense archive he kept at his home. Professor Cantarino loved teaching, mentoring, writing, and sharing his perspectives about Spain, its culture, and its influence all over the world. As a faculty member in the Department of Romance Languages (and then Spanish and Portuguese) at OSU, he taught courses on Spanish civilization (where he piloted new materials for Civilización y cultura de España), as well as Medieval literature. His participation was crucial in the creation of the Department of Spanish and Portuguese. He was very active in the consolidation of the Medieval Studies Field until his retirement. His colleagues, and former advisees remember him as an accomplished scholar and as a warm, welcoming and kind man. He was always available to those who wanted to stop by and chat. His self deprecating humor made him greatly beloved. He always affirmed that his dream would be to expire while teaching.